Apex Physical Therapy is a physical therapy practice specializing in injury prevention, pre- and post-surgical rehabilitation, sports medicine and pelvic floor issues. Their therapists are full body experts who pride themselves on providing excellent one-on-one care. To showcase their unique expertise, Apex hired Brand It to create a modern, patient experience-focused website. We worked closely with their staff to develop a new website that quickly navigates patients to information about procedures, what to expect, their locations, and educational materials, while also highlighting their team’s extensive healthcare experience. For a final touch, we integrated a running background video on the home page to capture the Viewer’s attention and showcase the types of Northwest activities their therapists offer treatments for. 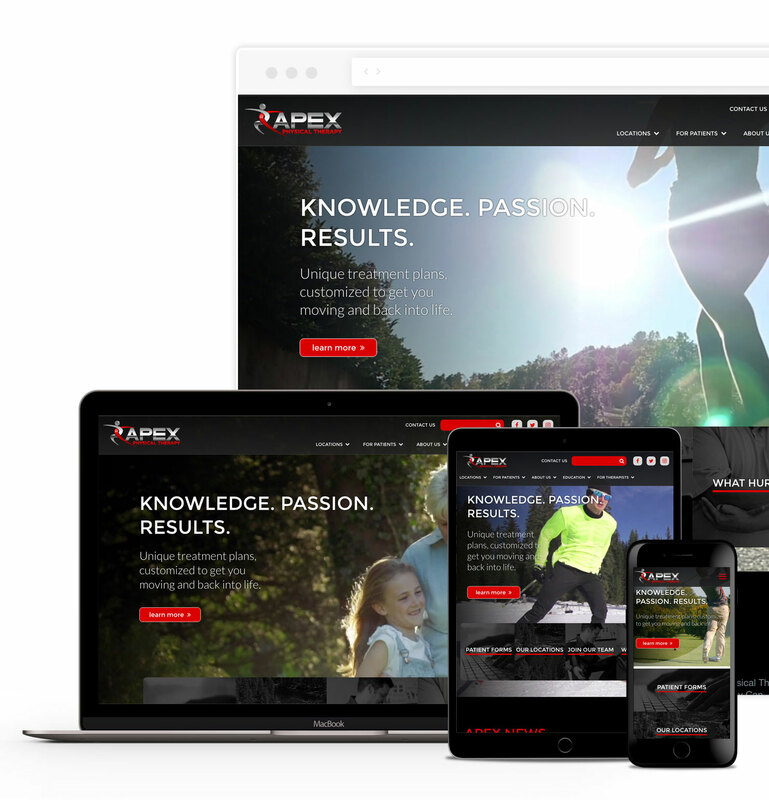 Since the new website launch, Apex Physical Therapy has seen a vast improvement in website traffic. Ready to get started? Setup a consultation with us today. We help you start the conversation and engage your customers in a dialog that’s both logical and emotional. At Brand It we don’t sell advertising. We craft solutions, in whatever form it takes, to get the job done effectively for our clients in Spokane, the Northwest, and nationwide.